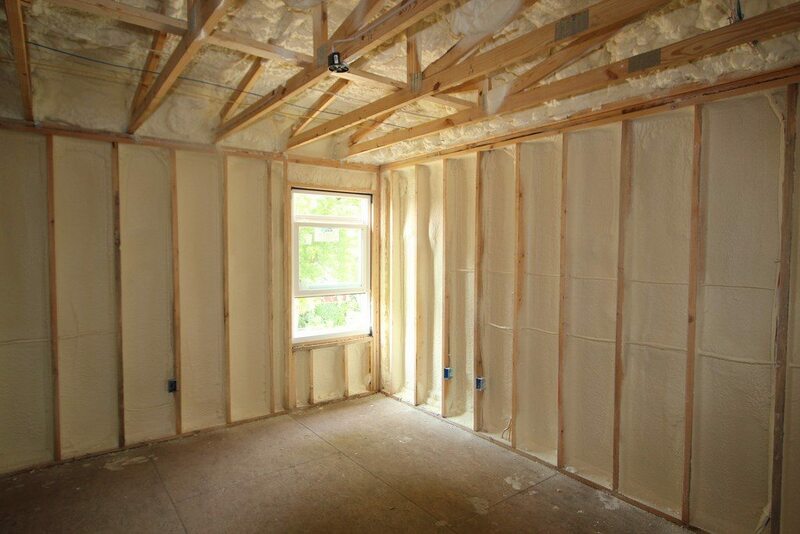 Use high performance insulation to save money - EVERY DAY! Get maximum energy saving results with a Foam Engineers professional installation. Experience the Foam Engineers professional service-oriented approach, call today! Foam Engineers is an insulation contractor serving Missouri and Illinois along the Interstate 44 corridor from Springfield, MO; Fort Leonard Wood; Rolla; Eureka, Pacific; to St. Louis. We also work south to places like Licking; Salem; Farmington; Poplar Bluff and north to places like Hermann, Owensville; Troy; and Hannibal. While we install all types of insulation, we specialize in assisting homeowners, contractors and architects in building custom homes and commercial buildings to maximize comfort, energy-efficiency and overall value through our spray foam insulation products. David McClure is a professional engineer with over 25 years of related experience. David and his crew managers at Foam Engineers are trained energy auditors who understand building science principles. Foam Engineers, provides materials for residential and commercial applications. We use only the best insulation materials including open and closed cell spray foam; blown and dense-packed cellulose; Ure-K and K-13 acoustical insulation (sound damping and control); blown and dense-packed fiberglass; PolyMaster R501 block fill or core fill masonry injection foam; self adhered, fluid applied, and spray foam air barrier systems. We also install combinations of these materials to create a custom insulation solution. For example, we might air seal and insulate on top of attic drywall with open cell spray foam and then blow fiberglass, or cellulose, over the top of the spray applied foam to increase the R-Value in an economical way. More specific areas we serve are St. Louis including Creve Coeur; Webster Groves; Kirkwood; Town and Country; Des Peres; Frontenac; Brentwood; Ladue; Clayton; Tower Grove; Sunset Hills; and Chesterfield. We also serve areas around St. Louis such as Rolla, Ft Leonard Wood; Washington; Union; St. Clair; Ballwin; Warrenton; Wildwood; Pacific; Eureka; and Fenton. Other areas served include Springfield; Ozark; Joplin; Jefferson City; Columbia; Hannibal; Cape Girardeau; Salem; Licking, Union, St Clair; Rolla; St James; and western Illinois. We have two high pressure spray foam rigs capable of spraying any type of foam so we can get even the biggest jobs done in the shortest amount of time. If you want a quiet, comfortable home that saves you money and is worth more at resale, make the smart choice – call Foam Engineers in St. Louis, Springfield, or Sullivan Missouri today and ask about a FREE efficiency analysis and foam insulation quote. This is the 2nd floor of a newly constructed home in St Louis. The underside of the roof deck is insulated with open cell spray foam insulation and the walls are insulated with closed cell spray foam insulation.